Our CLW Brand refuelling tender is consist of chassis, oil tank, refuelling machine, oil pipe winch reel, oil pump, operation system, fire extinguishier, pressure vent valve, flameproof enclosure, antistatic device,etc. As a professional special vehicle manufacturer,CLW refuelling tender have some advantages, our tank utilize the high quality steel and with built-in anti-wave board to reduce the impact force and keep it smooth during transportation. 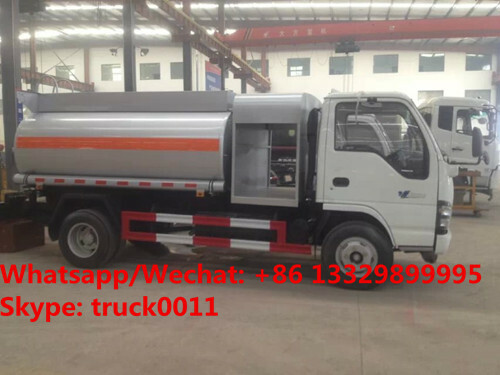 Mobile Refueling Tanker , is also called Fuel Tanker ,mobile tanker truck,tanker truck,oil truck,etc, widely used in gasoline,crude,lubricants,coal tar and other oil's transportion and storage. We can supply Fuel tanker ranged from 4000L to 45000L,Fuel Tanker Semitrailer ranged from 30000L to 60000L. Chengli Special Automobile Co., Ltd. is the leading manufacturer and supplier of fuel truck, refueling truck, fuel tender, fuel trailer, fuel tank, etc. 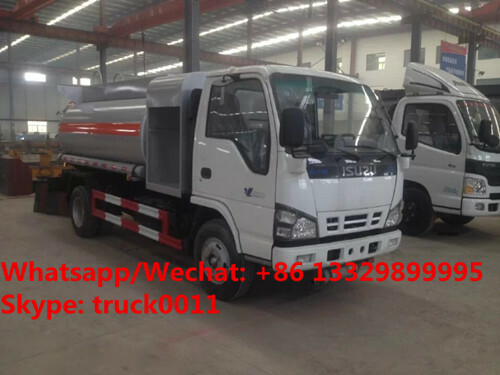 With many years'experience in supplying, Chengli Special Automobile Co., Ltd. can supply Dongfen fuel truck, ISUZU fuel filling truck, HOWO fuel tank, Foton fuel truck, FAW fuel truck, etc. If you're interested in our CLW Brand fuel tank truck, please kindly send email to szhj9999@163.com or talk to Anita by +86 13886878855. More pictures of customized ISUZU 5m3 oil dispensing truck manufactured by Chengli Special Automobile Co., Ltd. as below. ISUZU 4*2 LHD refueling truck, adopts ISUZU 4*2 Euro 4 chassis, with the tank volume of 4,500L. Remark The transporting medium is gasoline/ diesel/ oil/ fuel, etc. The fuel filling machine can be chosen high quality China brand or English words.